Novex manufactures a variety of urethane products including belting, sheeting, molded parts and more. Using premium grade urethane in custom formulations, we produce high-quality urethane products that keep your business operations running smoothly. We are a trusted manufacturer based near Akron, Ohio and we're focused on providing reliable, quality solutions for our customers needs. We design high quality belts, sheets and components that are ideal for a variety of applications. Novex urethane products are widely used because of their incomparable durability and versatility. Belting - Novex provides a comprehensive range of high quality non-reinforced and reinforced polyurethane belting from light, medium, or heavy duty conveying to custom profiles we have the right belt for your application. Sheeting - When your application requires close tolerance cast urethane sheeting, you can rely on Novex precision cast sheeting. 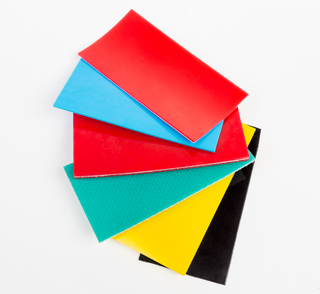 Our precision cast urethane sheets can be built to specification and guarantee uniform material thickness. Molded Parts - Novex customizes urethane parts to meet your specific needs. We provide prototypes and follow strict production guidelines to ensure product quality. Our custom molded urethane parts are designed with your complete satisfaction in mind. Fabrications - Belt finishes and fabrications to fit your needs. Belt Welding Tools - Effective belt welding is critical to product performance and a requirement for minimizing downtime. Novex high quality belt welding kits and tools are right for the job. of Novex, Inc. ©2016 Novex Inc. All Rights Reserved.